When you search on Google it shows plenty results related to your keyword. To go deeply on your search you should read many sites to get the exact result as your need. 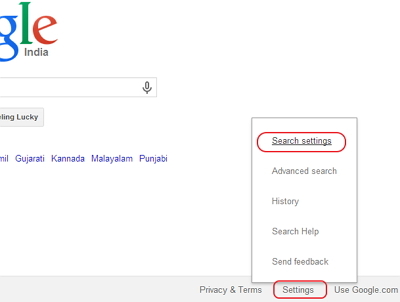 But in Google search result page if you click any page it will open in same tab, so you will away from other results. For this issues currently most of them using open link in new tab option from their right click menu to keep the result page alive. And some are using some third party browser extension to results open in new tab. 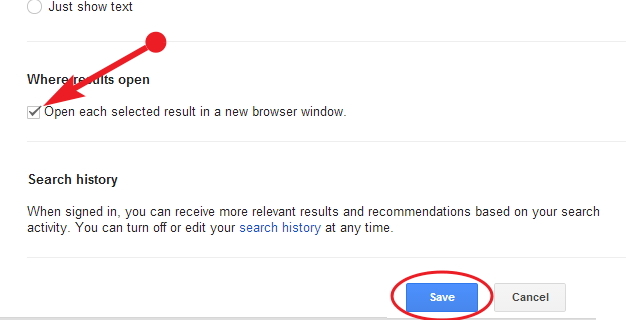 But Google includes the option by default to set links open in new tab. Then tick mark the checkbox and click the Save button which is placed bottom of the page. That's all! you have done. Now search on Google and click the results automatically it opens in new tab.